Through the door to the back hall, you will find this slightly more intimate space. 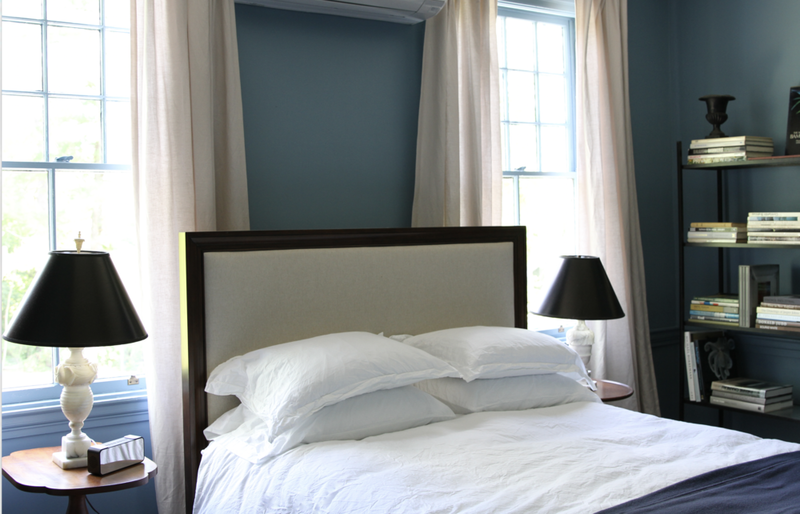 The queen bed in this room is dressed in Matteo Linens, a down comforter, and blanket from Faribault Woolen Mill. 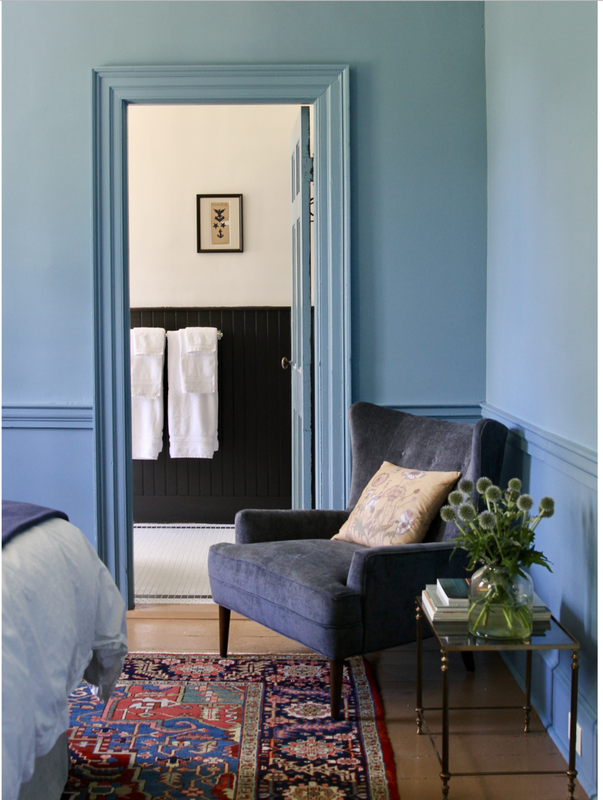 A monochrome blue provides a rich but restful backdrop for a vintage Persian rug, brass chandelier, and selected art work. Comfortable seating is something you'll find here, and in the many public areas throughout the house. 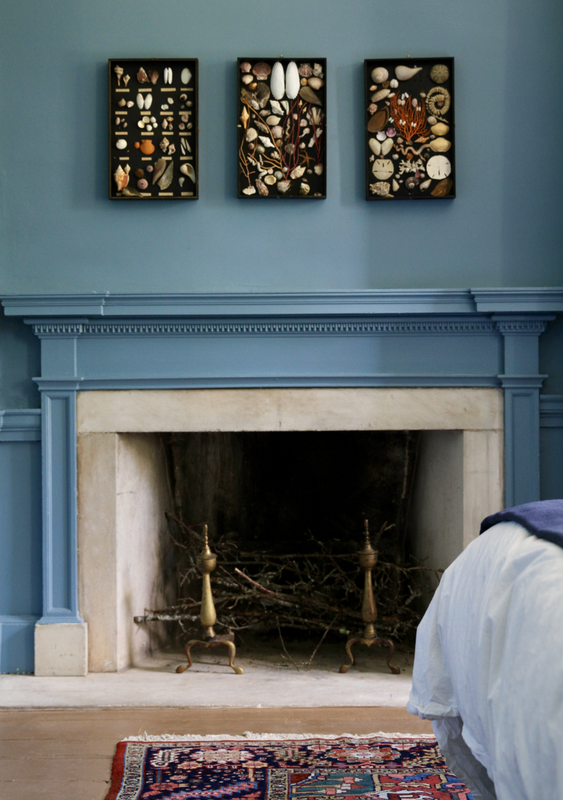 Though it is tucked into a corner of the room, the fireplace is no less impressive. A spacious Bathroom features a cast iron bathtub with shower, and radiant heated mosaic tile floors. 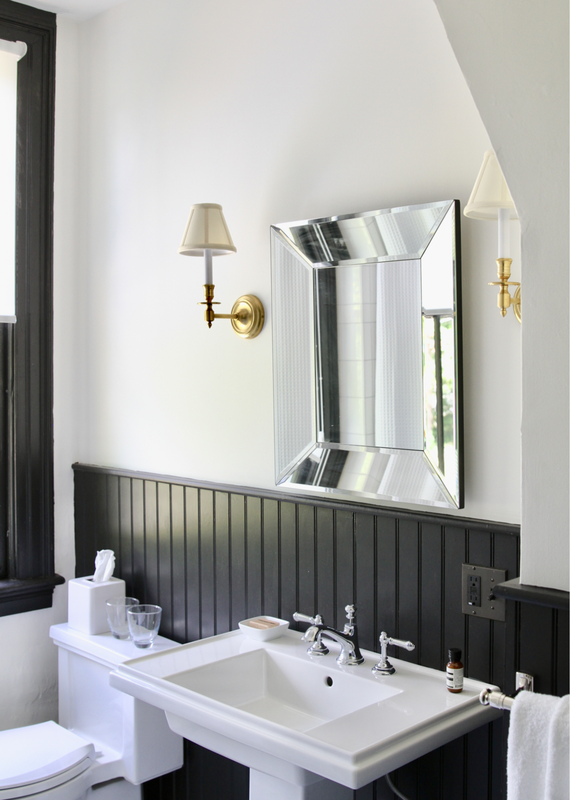 Black trim and wainscoting adds a bit of drama. Toiletries are Aesop.